I can sometimes read too much into a naturally occurring phenomenon. I think that’s the romanticist coming out in me. 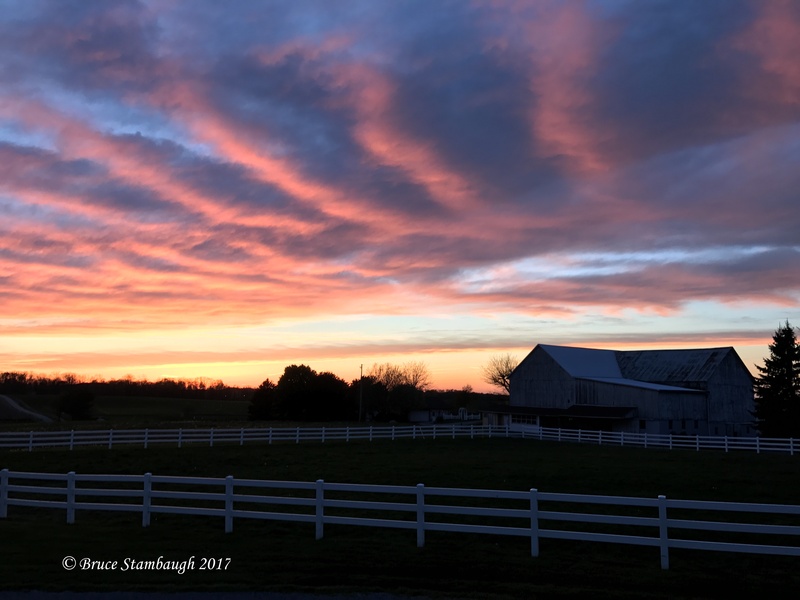 Nevertheless, while visiting an Amish family who had invited us for dinner before we left for life in Virginia, I couldn’t help but notice the beautiful sunset. I stepped outside and captured this photo, our last blazing sunset as Ohio residents. I took it as a warm farewell for us. “A Final Ohio Sunset” is my Photo of the Week. Every goodbye is also a new beginning. Savor the new adventures and enjoy the warm memories! Beautiful! Especially nice because there are no electricity wires to muck up the sky! Wishing you a fantastic future in your new home! Thanks, Jacqit. Indeed, that’s one of my biggest issues with technology. All the ground clutter that it causes often spoils the perfect scenery.